The hotel is to transform its existing Buckingham Wing into a dedicated executive area, with its own reception and 85 rooms with facilities including Hypnos beds and large workstations. The Executive Wing is due to open in February 2011, and will feature a dedicated concierge service, and rooms with blackout blinds, large workstations, wifi internet access, Hypnos beds, rain head showers and tea/coffee facilities. Decor will feature “rich dark shades, opulent fabrics and signature statement pieces”, and guests in this section of the hotel will have accees to the Guoman Club Lounge. The £2.5m project is in addition to the refurbishment of the hotel’s restaurant, staircase and lounge area. The Guoman Hotels brand has four properties in London, and recently expanded internationally with its first hotel in Shanghai (see online news May 14), and a further property under development in Beijing. 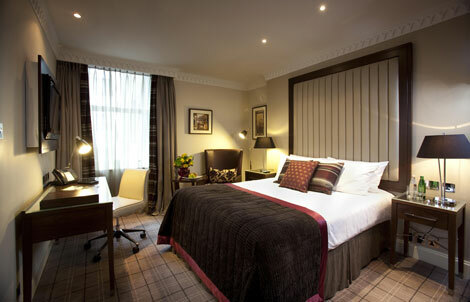 The Grosvenor Victoria is also due to join the Guoman portfolio in the near future (see online news July 7). For more information visit guoman.com.